I know I said I would update on Friday, but we had a busy busy weekend! 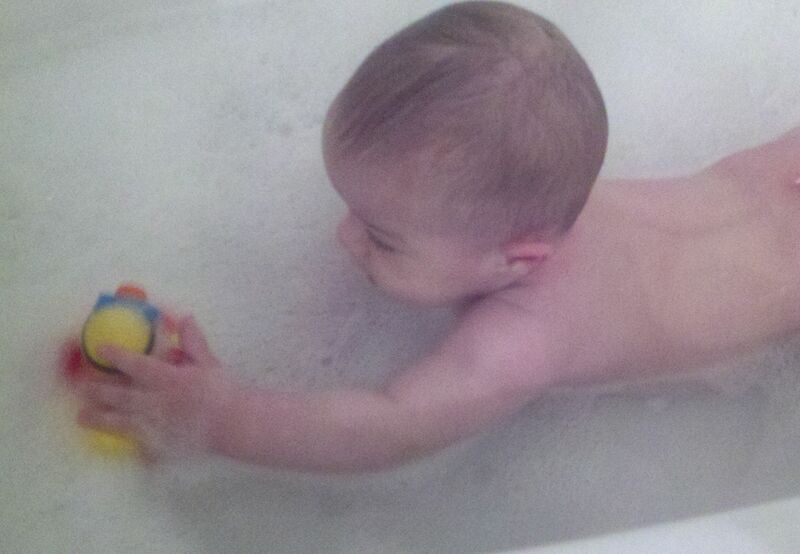 But Liam’s “swim lessons” (at-home, bathtub swimming, that is) are going fantastic! 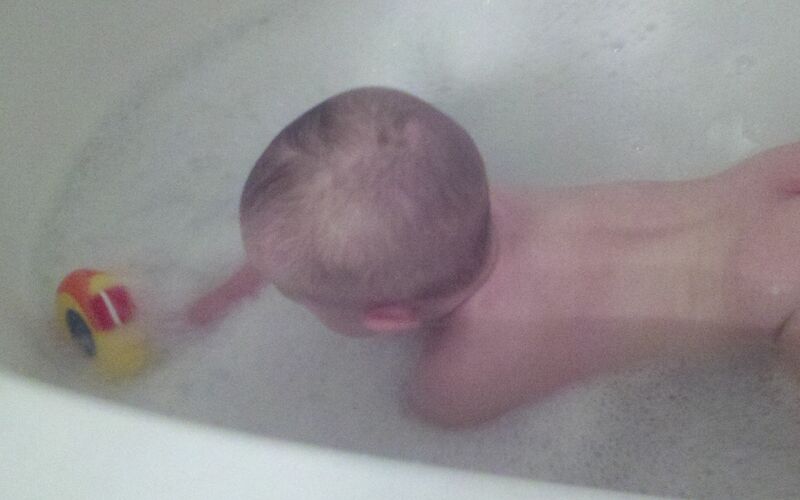 On day one (and for a couple days after that), I began by filling the bath pretty full and getting in with him. Finally I decided I would fill it with little water and let him get in the big bath all by himself! I was SO nervous and my heart was pounding the entire time! I don’t think I let go of him for more than a couple seconds at a time. He did SO well. He wasn’t afraid and nothing went wrong! 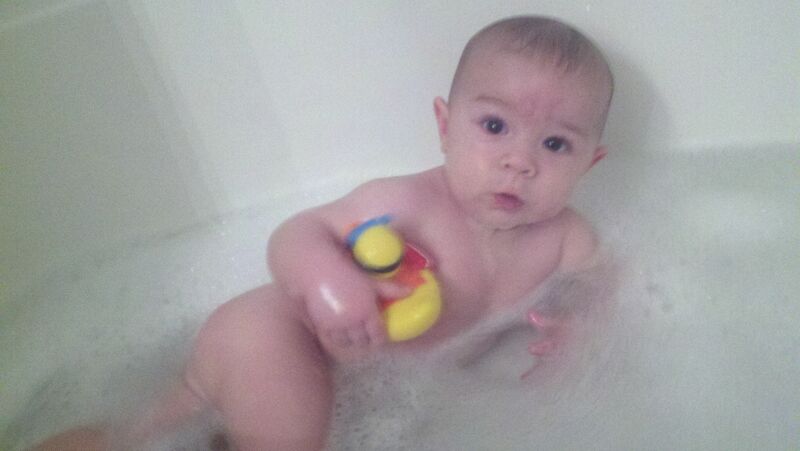 He went to the other side to grab his rubber ducky! He had so much fun. After doing this for “swim lessons” during the day and bathtime in the evening, I have become more relaxed. He plays around perfectly. Last week’s accomplishments: Saying good-bye to our beloved infant whale bath, playing in the big bath with mommy and then all by himself! Right now we have been doing lessons in the afternoon when he is finished eating solids so it makes it easy to clean him up! 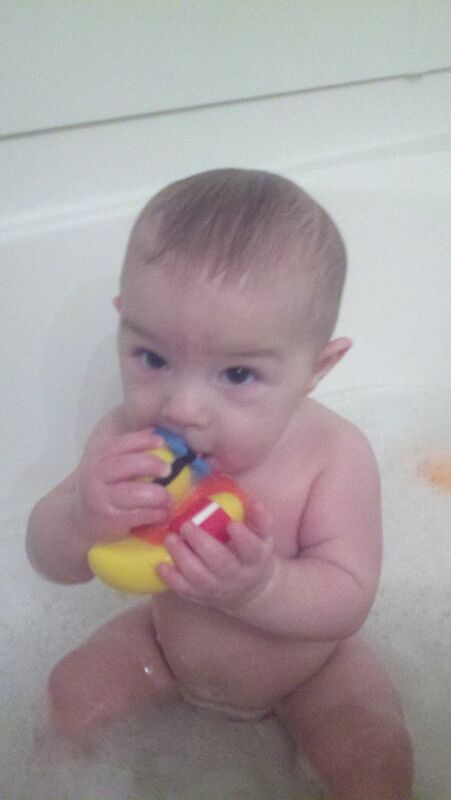 We still do normal bathtime in the evening where he plays while I wash him and read him stories before bedtime. 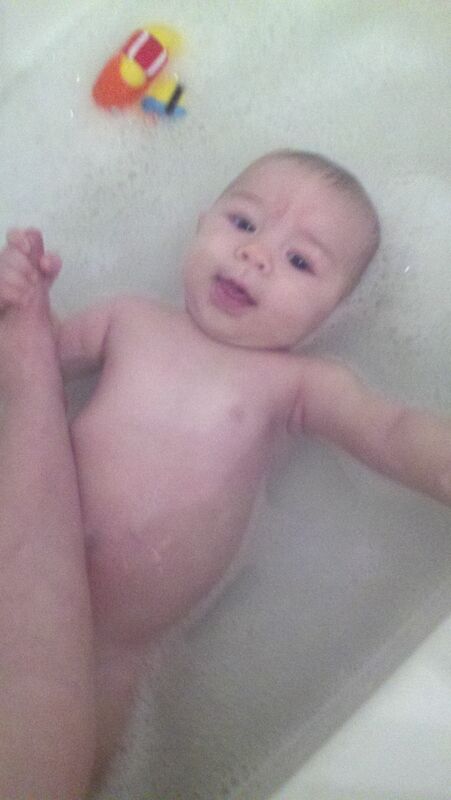 This entry was posted in Uncategorized and tagged 6 month old, baby, bath, infant, pool, swim, swim lessons, week one. Bookmark the permalink.